In September 2015 Saitama, Japan – PLAJA were approved as a general incorporated association. We are pleased to inform you that Phuket Longstayers Association of Judicious Aged members (PLAJA) has changed its named to General Incorporated Association PLAJA. We would like to take this opportunity to thank you for your kind support as always. PLAJA will contributes to international relation between two countries, through the expansion of acceptance and exchanges of excellent human resources. 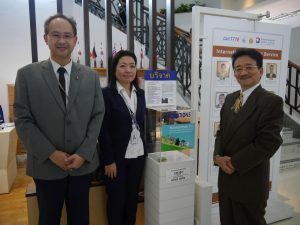 In addition, we would like to be a NPO would serve as a bridge between Thai and Japanese in the future. We would greatly appreciate it if we could have your continued support.